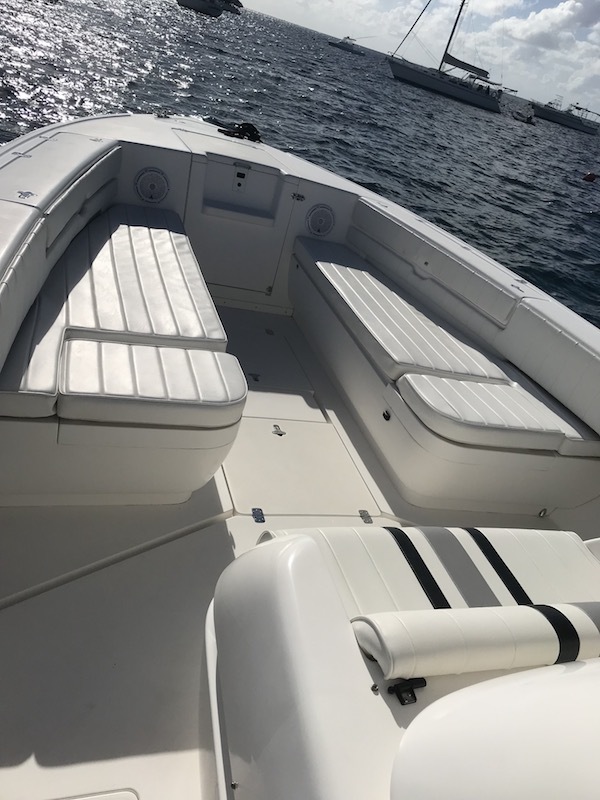 This 33′ Pursuit Center Console with twin 250 Yamaha outboard engines and open bow layout is practical, comfortable and affordable! The wide hull design makes for a smooth, comfortable and safe ride for up to 12 passengers. 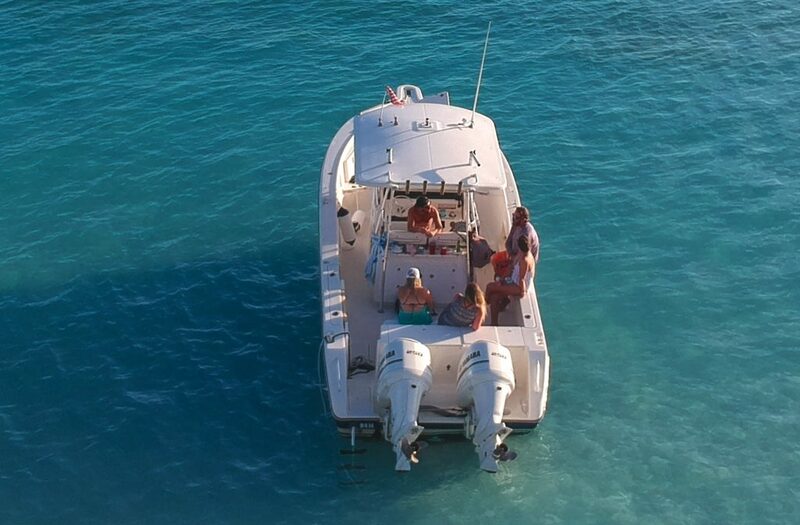 Equipped with a JL 6 speaker bluetooth stereo system, easy to use swim ladder, fresh water shower, spacious bathroom, and large cooler for beverages. 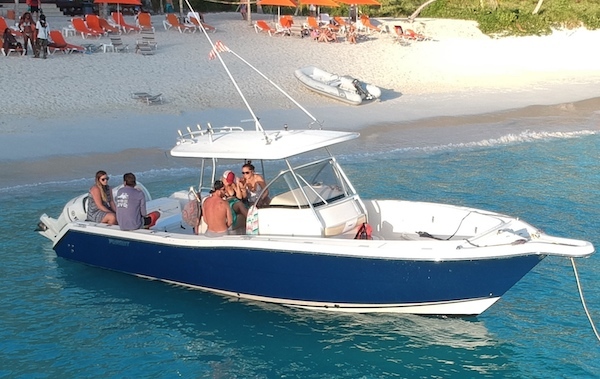 The perfect boat for island hoppin! British Virgin Islands customs fees are $70 per person.